Virupaksha Temple in Hampi is dedicated to lord Shiva. 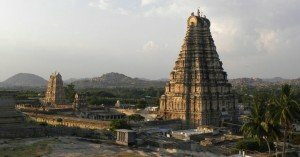 Know more about the legends and history of Virupaksha Temple, Hampi. Gejjala Mantapa in Hampi is an ornate rectangular structure that is known for its exceptional architecture. It has an elevated platform and carved pillars. Yeduru Basavanna in Hampi is a monolithic sculpture of a bull. 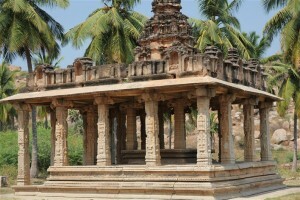 It is one of the prominent sculptures of Hampi and is a huge attraction among the tourists.